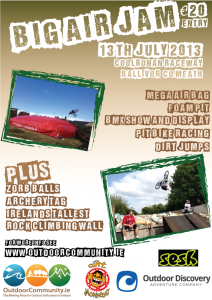 Dirt Monkeys, along with OutdoorCommunity.ie, Outdoor Discovery and Sesh Energy Bars present the Big Air Jam 2013. 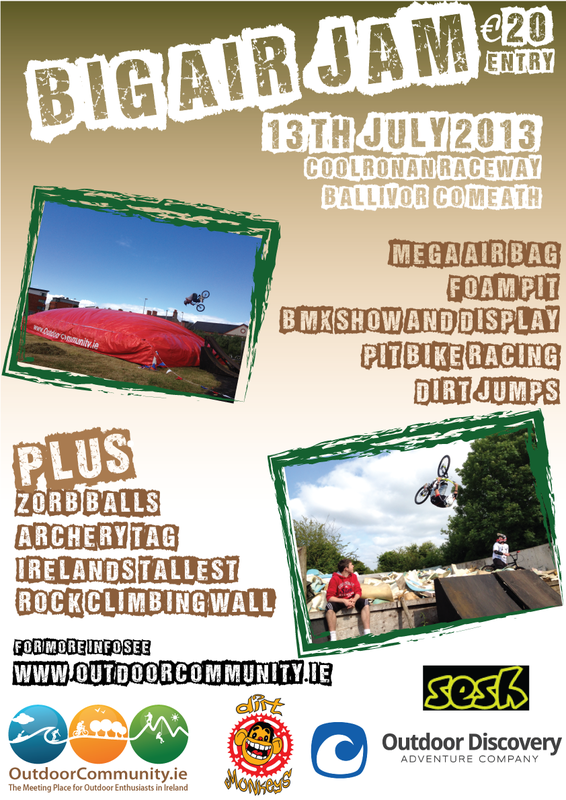 Entry €20 at the gate. 11am til dark! Safety equipment is a must. No safety gear = no fun! Bikes and safety equipment available for hire.